It's important that an SSL Certificate fulfill it's intended purpose. In 2017, Symantec® Secure Site Pro + EV SSL Certificates became distrusted by Google Chrome and other browser vendors, meaning they were no longer able to instill the high level of confidence relied upon. 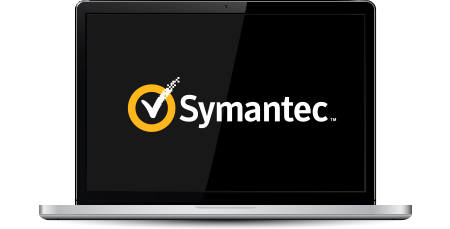 It's now time to replace your Symantec® Secure Site Pro + EV SSL Certificate. Trustico® no longer supports Symantec® Secure Site Pro + EV distrusted SSL Certificates. To ensure the high level of your website security is maintained, we recommended that all affected customers install an alternate SSL Certificates. Trustico® offers free replacement for all existing holders of distrusted Symantec® Secure Site Pro + EV SSL Certificates. If you require urgent assistance please call 0800 300 SSL to speak with a customer service agent. Trustico® was among the largest Symantec® partners, which means the distrust of the Symantec® brand has come at great cost and disruption. Customers have asked many questions surrounding the distrust of their Symantec® Secure Site Pro + EV SSL Certificate and the subsequent pending failure and disruption to their website visitors. Unfortunately, Symantec® didn't respond to our requests for specific answers, though they continue to offer newly issued products under the DigiCert® Certificate Authority. Trustico® felt that it was in a position whereby it was unable to trust the offering provided by DigiCert® and subsequently ceased selling Symantec® Secure Site Pro + EV SSL Certificates from the 9th of February 2018.